Many summaries of the 2011 television year noted the growing influence of Twitter. Examples given included the quick demise of Ben Elton’s Live from Planet Earth or the furore that developed following the broadcast of�Kyle & Jackie O’s A Night with the Stars. Whilst networks have been encouraging viewer engagement through social networking sites such as Twitter and Facebook, cricket and tennis coverage this summer on both Nine and Seven have gone one step further, with each utilising sponsorship driven mobile social networking apps to further engage viewers in the broadcasts. 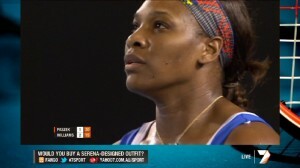 Nine have featured throughout its summer of cricket the Vodafone Viewers’ Verdict App, whilst Seven have promoted during its summer of tennis the Yahoo!7 Fango App and ANZ Open Mic. These two big summer sports pit Seven and Nine against each other as they both try to gain early ascendence in the yearly ratings battle. The use of new social networking tools is another way to capture viewers and the all important advertising dollar. 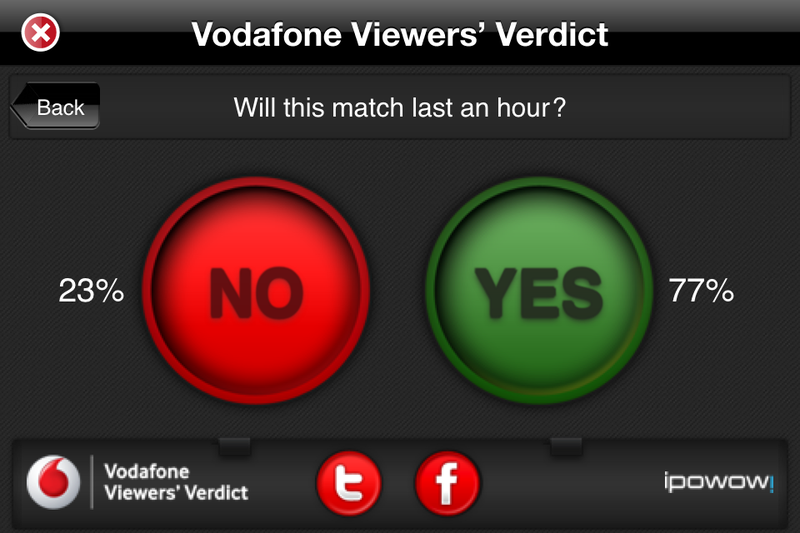 Vodafone Viewers’ Verdict is powered by iPowow’s�voting platform and allows viewers at home to respond instantly to questions in-program via the Viewers’ Verdict, with results displayed on air via a special graphic. 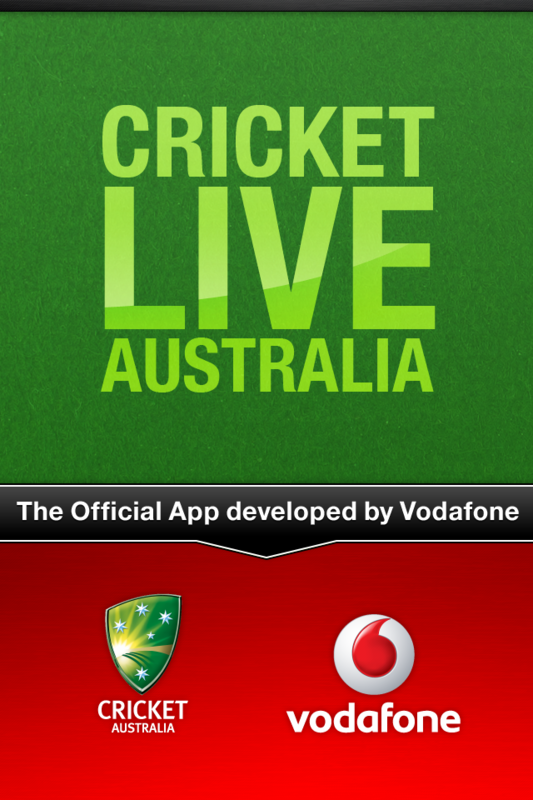 The Vodafone Viewers’ Verdict is found within the free�Cricket Live Australia app which features a range of exclusive content including LIVE Cricket TV, live scores/fixtures, ball by ball commentary, highlights, news as it happens. It appears that the sponsorship integration has been a great success with Stephen Saunders, Vodafone’s Head of Sponsorship, telling Nine’s Mark Taylor during the Adelaide Test Match broadcast that the app has been downloaded around 700,000 times�and nearly 10 million in votes received�through the viewers’ verdict. 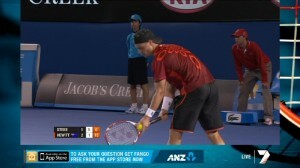 ANZ have jumped on board this year with Seven to sponsor on-court post match interviews. 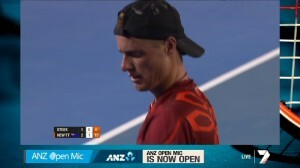 The interviews are now known as�ANZ Open Mic.�Viewers during the match have been encouraged to send questions to Seven commentators such as to Jim Courier,�Sam Smith�and�Todd Woodbridge via the Fango App. 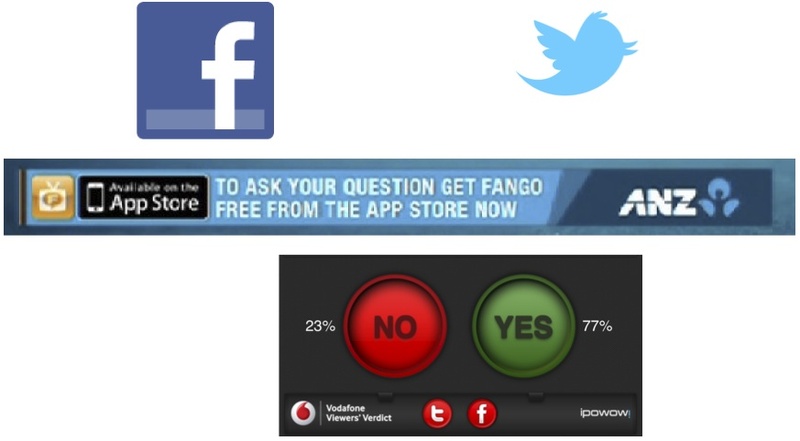 With massive download numbers for the Vodafone Viewers’ Verdict and no doubt similar numbers from Fango�it will be interesting to see how networks will continue to use these new social networking tools to deliver new integration for sponsors, who in turn will be hoping viewers respond to this new form of sponsorship/advertising positively. Have you interacted with these new Apps for Seven and Nine during this Summer?